It's been a busy week and I've felt extraordinarily tired. Time here might become a little more in and out for a while now but you never know, we'll see. 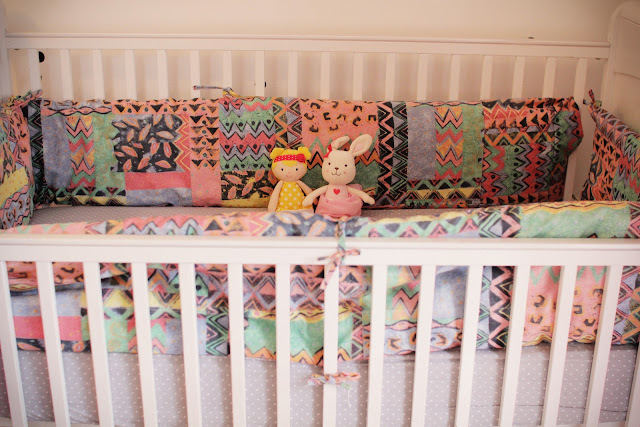 I took a few pictures in baby girl's room today, of a few newer odds and ends. 1. 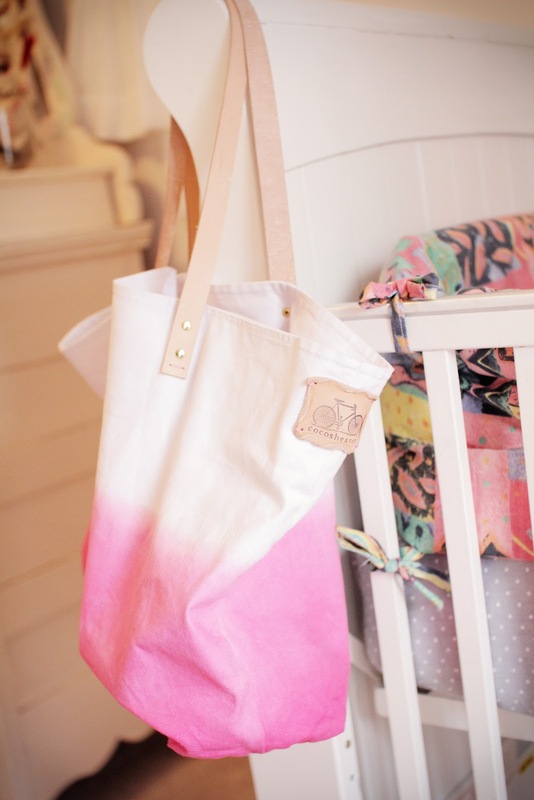 A diaper bag from Cocosheaven. A gift from Phil. It's kinda gorgeous. 3. 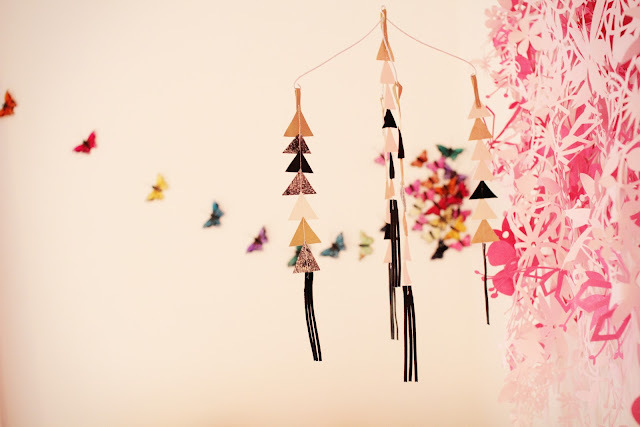 A mobile by The Alison Show that I'm pretty much crazy about. It works really nicely with the more geometric patterns in the nursery and tempers down the wildly feminine decor that I couldn't in a million years resist. It's made with black, white and gold leather triangles, all handcrafted. Smells delicious too. I'm having a real handmade moment here, finding it hard to resist the craftsmanship in those goods and the treasures they become in their uniqueness. Another huge site that is just ah.ma.zing is Brickyard Buffalo. It's a pop up shop that offers these handmade goods at a sale price, changing the line up each week. The selection is really trendy (think what's hot in baby/toddler world right now) but so, so irresistible. And at great prices. This mobile is from there. I'm just a little obsessed with the site, it's just that good. 4. Would I call this a mobile too? The one matches her bumper, also from my bedroom (yes ... curtains, bedding and deelimabobbie to match. My mom is awesome!). And the elephant one is from Monty's nursery.